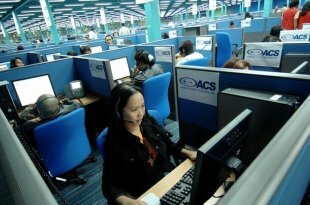 Pursuing business in the Philippines is something you should research carefully before proceeding. The Philippines is an Asian country with a developing economy so the business environment and the way of thinking is completely different than in a developed Western country. An online business is one way to go in today's environment. I have spent hundreds of hours researching online small business opportunities. There are a lot of offers on the internet that claim to generate an income for you. Most of them are get rich quick scams that will give you nothing in the long term. And on the internet you should be thinking long term. There are legitimate, honest, business people who have taken a logical, intelligent and sincere approach to conducting business on the internet. Creating an online small business and building an income online can be done. It requires effort and some time, but the freedom, time with loved ones, and control of your destiny ARE WORTH IT! If you are considering a small business in the Philippines be aware of the risks involved. The number one risk is not having a clear understanding of the culture and the style of doing business. The Philippines is a tricky place to try to succeed with a small business. A lot of knowledgeable, intelligent business people have lost money here. My recommendation is to start extremely small and build your business slowly. The best thing for a small or mid-sized business owner is a business savvy Philippine spouse that can be trusted. The biggest downside? Filipinos can be very jealous of your business and they might try to destroy your business. You become a target. Keep a low profile and keep your assets in the country to a minimum. Don't show off – no flashy cars, expensive houses, jewelry etc. There are dozens of scams currently being used, so be careful. Be extremely cautious who you do business with. Occasionally the result of a business dispute is an assassination attempt. When something goes wrong there really isn't much recourse. The police and the judicial system are extremely slow moving and don't provide much protection for the small business owner. I don't recommend having partners. The Philippine government produces a list of preferred economic activities that are pre-approved for tax breaks. This list is referred to as the I.P.P., the Investment Priorities Plan. The 2 government agencies to coordinate with are the Bureau of Investments, B.O.I., and the Philippine Economic Zone Authority, P.E.Z.A.